NEXUS and Global Entry, along with CANPASS Air, are self-service programs for frequent travellers designed to facilitate and expedite Canada and U.S. customs formalities. All three programs are for pre-approved, low-risk travellers. To become a member, you must satisfy the eligibility criteria and requirements of the authorities concerned. 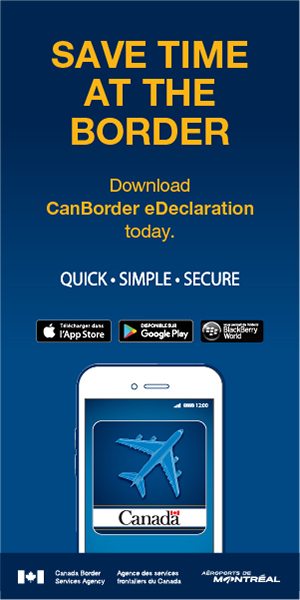 NEXUS is a partnership program between the Canada Border Services Agency (CBSA) and the United States Customs and Border Protection (USCBP). For Canadian travellers, joining NEXUS is the best option, as it offers the benefits of the other two programs combined, as well as more attractive membership fees. With a NEXUS card, you can facilitate both your entry into the U.S. and your return to Canada (from the U.S. or any other country). All NEXUS members can enjoy the benefits of the Global Entry program at no extra charge by using the Automated Border Control kiosks at participating airports. NEXUS program members must verify their status in their Global Online Enrolment System (GOES) account, as they may be required to submit a full set of fingerprints or any other document required for Global Entry program eligibility. In addition, under an agreement with the Canadian Air Transport Security Authority (CATSA), NEXUS members can access a special express line through security screening checkpoints at Canada’s main airports. As a NEXUS member, you can avoid customs lineups by using an automated self-serve kiosk when arriving in Canada or departing for the U.S. (preclearance). The kiosk, equipped with iris-recognition technology, will recognize your iris’s biometric data, stored in a secure database. You will then need to answer a few questions on a touch screen. The entire procedure takes less than a minute. Apply for NEXUS today by visiting www.nexus.gc.ca or calling 1 866-NEXUS-26. The enrolment centre (by appointment only) at Montréal–Trudeau is located in Suite T1470 on the arrivals level.